1. The International Ice Patrol recently celebrated its own centenary on 26 April. 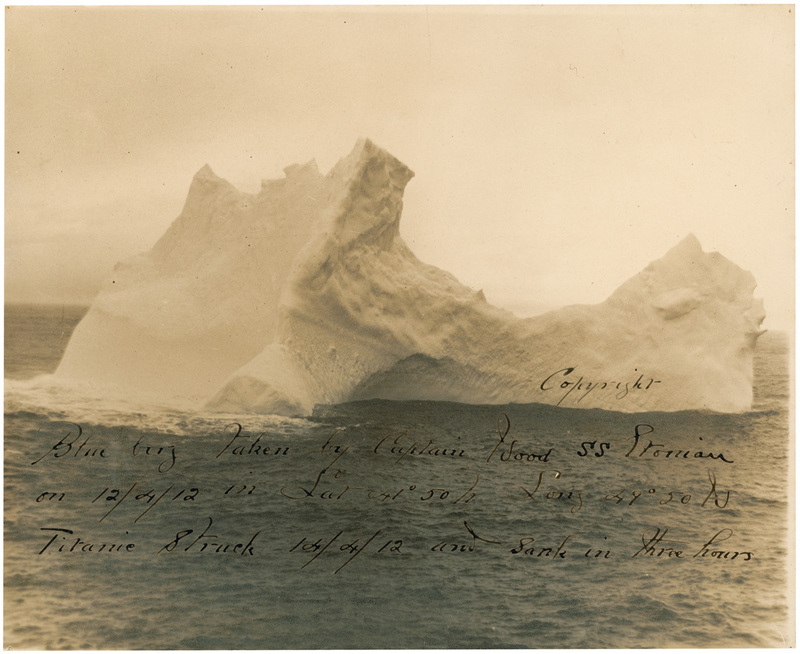 Today it is taken for granted but back in 1912 there was no mechanism to determine if icebergs were a serious threat. 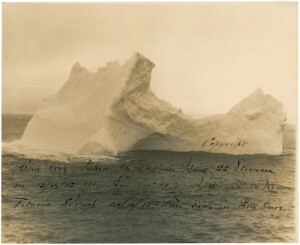 Before the wireless, the only warnings would come from ships who passed through areas where icebergs were sighted and notified when they came into port. Sometimes passing ships might signal but you were on your own. Wireless made it possible to send warnings quickly to other ships but, as was learned afterwards, unless you have dedicated wireless staffing and such reports were immediately delivered to the bridge, it can end in a catastrophe. At first the U.S. Navy did the initial patrolling after Titanic sank but could not provide ships in 1913. So the old Revenue Cutter Service (the predecessor of the U.S. Coast Guard) took on the task. However what was needed was international cooperation which was not always easy to get. Fortunately public opinion helped prod such cooperation along leading to the first International Conference on the Safety of Life at Sea in 1913. The convention was signed on 30 Jan 1914 and provided for derelict destruction, ice observation, and ice patrol service. The ice patrol service would patrol ice regions during the time icebergs were a threat and keep the trans-Atlantic lanes clear of derelicts the remainder of the year. The U.S., already involved in this aspect, was asked to undertake the management of the service and the 13 signatory nations would defray the cost. With the exception of wartime years, the patrol has been maintained by the U.S. Coast Guard. The countries that contribute to the International Ice Patrol are: Belgium, Canada, Denmark, Finland, France, Germany, Greece, Italy, Japan, Netherlands, Norway, Panama, Poland, Spain, Sweden, United Kingdom, and United States of America. More detailed history can be found at the U.S. Coast Guard site or at Wikipedia . 2. Shades of Titanic? Jay Rockefeller (D-West Virginia) chairs the Senate Commerce Committee and is making an inquiry into Carnival Cruise Lines. Of late they have been unlucky with the Triumph stranding and the Costa Concordia capsizing off the coast of Italy. So Rockefeller is looking into Carnival’s safety record. 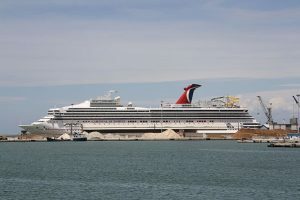 And he also asked Carnival if they would repay the U.S. government for assisting the Triumph in 2013 and for the 2010 stranding of Carnival Splendor. Carnival declined to reimburse citing that everyone must assist ships in distress and that duty does not require paying for such services. Rockefeller called this response “shameful” yet he knew that Carnival would respond this way. He is threatening hearings and legislation. So what is going on? Well Carnival and nearly all other cruise lines are foreign flagged meaning they do not fly the U.S. ensign. And they are restricted under federal law (1886 Passenger Services Act) from going directly between two U.S. ports without first having stopped in a foreign port. Despite this restriction, the cruise lines make buckets of money for corporations that are located outside the U.S. which means they do not pay income taxes. They do pay lots of other taxes (like port fees and assorted other taxes). But many like Rockefeller think they ought to pay more for using U.S. ports and U.S. assets to help them in times of distress. The maritime unions are unhappy as well since the ship jobs go to non U.S. citizens. Rockefeller is no William Alden Smith, who presided over the U.S. Titanic hearings wanting to find out what happened and find liability against White Star. Rockefeller is just playing politics by trying to force cruise lines to fork over lots more money. And likely winning high marks for the maritime unions. Those unions ought to look at the laws and regulations that resulted in nearly every passenger liner not being flagged American. 3. A Night To Remember (1958) is my favorite Titanic movie. It has also been released on Blu-ray in 2012. Like the regular DVD version, it has the excellent commentary by Ken Marschall and Don Lynch. It also has something not on previous versions: an interview with Titanic survivor Eva Hart. So if you have Blu-ray, consider adding this to your movie collection.